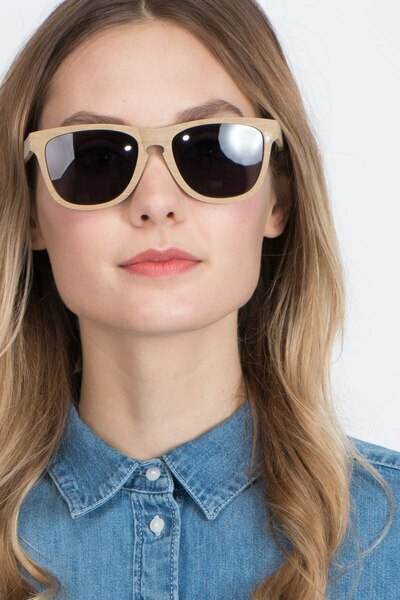 Look good while soaking up the sun with these yellow sunglasses. 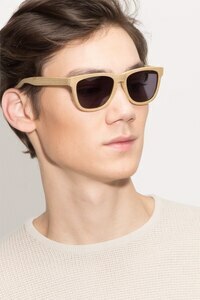 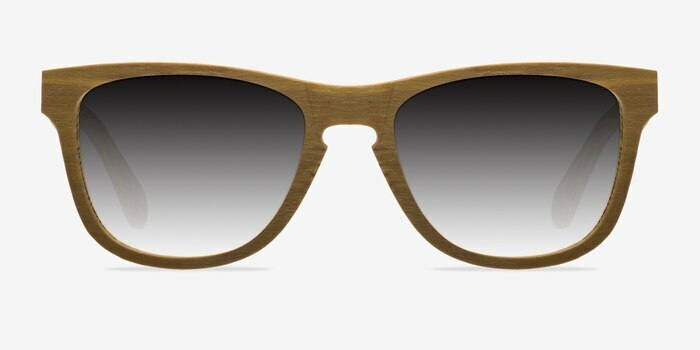 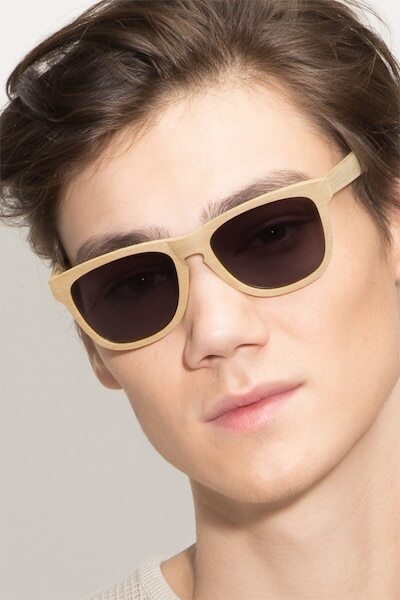 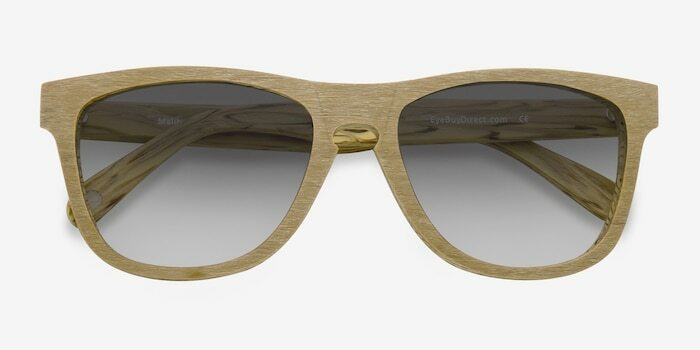 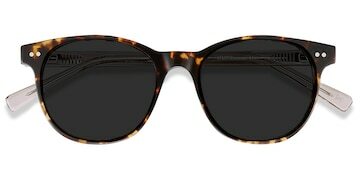 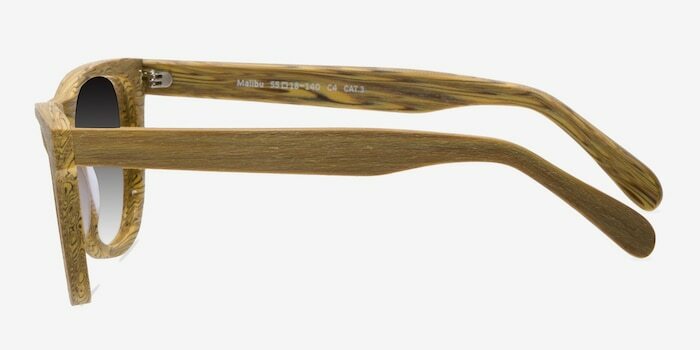 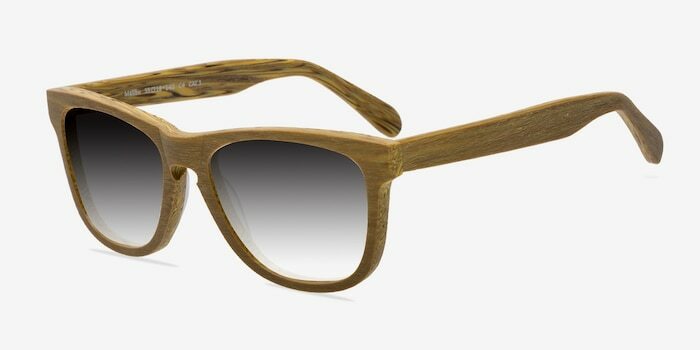 This fun frame comes in a striated texturized wood like acetate finish throughout with classic wayfarer shaped lenses. 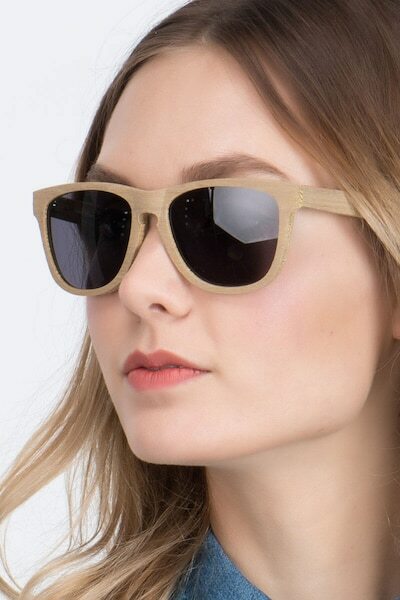 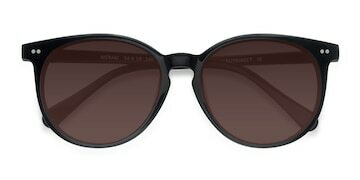 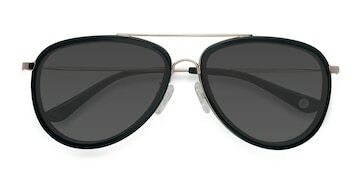 A keyhole nose bridge complements the laid back Californian style.